When it comes to designing a new staircase, we believe that the only limit is your imagination, and our Infinity range proves that. For those who don’t know, the Infinity staircase range replaces traditional spindles with glass panels to create an alternative, inspiring impression. 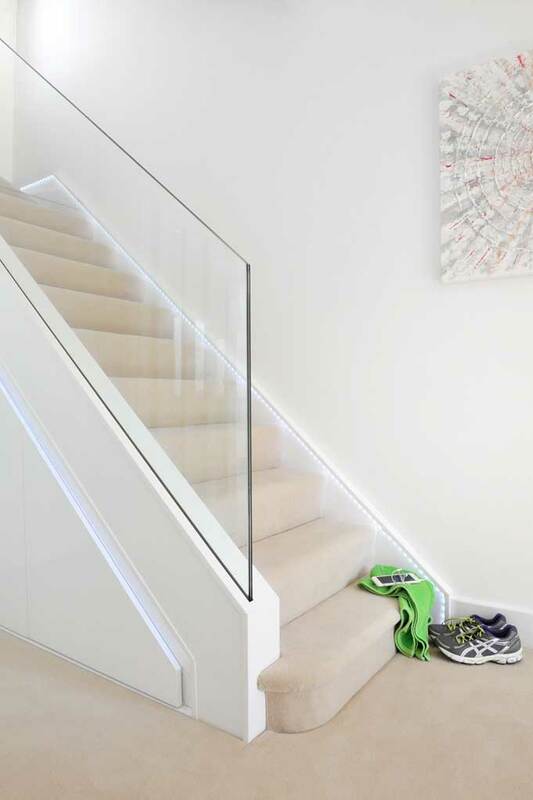 Glass staircases are ultra modern but people often worry that the minimal aesthetic isn’t in keeping with the homely feel of their hallway. The infinity range is the perfect solution for those who want something that’s modern and stylish without being too minimalistic. 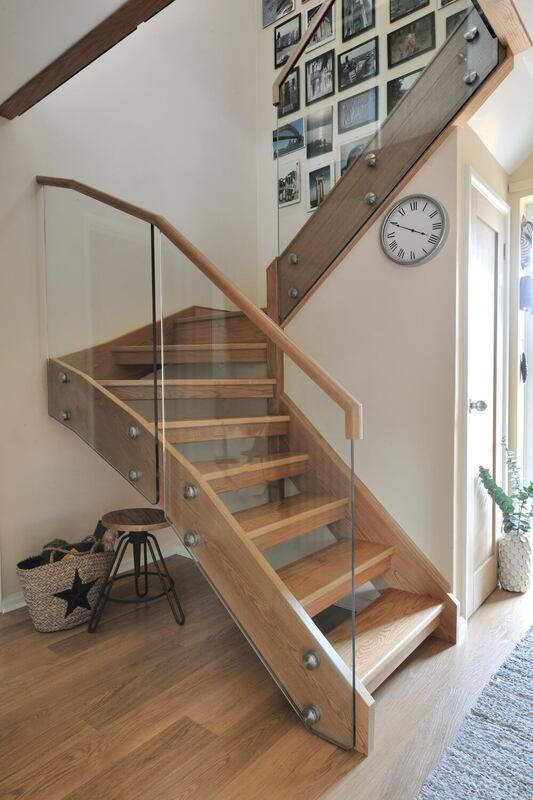 If you’re familiar with the anatomy of a staircase, you’ll know that the Infinity range allows us to create a newel-less staircase where we replace the wood with glass. By using glass panels instead of wood, this allows light to flood in, giving the space a clean-cut contemporary look. The glass panels are bolted onto the wood to create a sleek finish. The glass helps to give the impression of added space and light to open up an otherwise dark hallway. 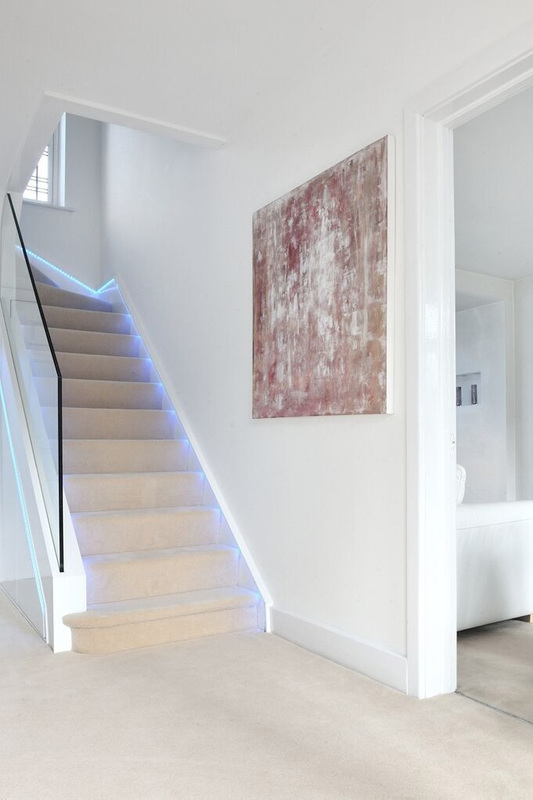 If you really want to maximise the light in your hallway, we can even add lights to the underside of the base rail to give a feeling of warmth to the glass and add another dimension to the design. By combining wood with Infinity glass panels, we’re able to create integrated glass staircases for a simple, clean interior design. Whilst there are minimal elements in the design, the end result is contemporary and fresh without looking overly futuristic. Furthermore, each glass panel sits neatly within the hand and base rail to create a seamless design statement. If you want to talk to us about our Infinity range, get in touch today.